Think custom formatting is out of your price range? Think again! Normally, my chapter headers cost anywhere between $0.10 to $1 per chapter. But, for just $10 a book, you can add-on any of these pre-designed ones! 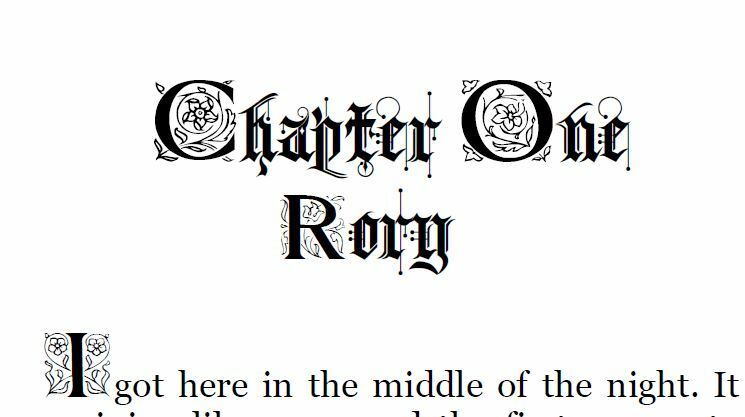 Below are your choices of fancy chapter headers with incorporated designs, images, and/or mixed fonts. Please note, to ensure I am in compliance with all stock photo and font licensing agreements you may not purchase these on their own, they must be added onto a book I am formatting. 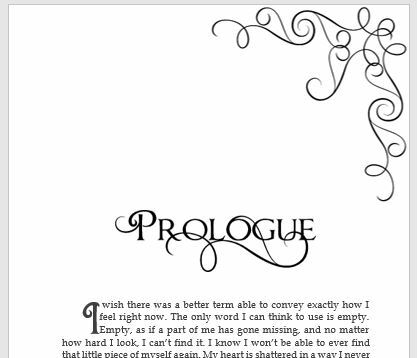 Exclusive Headers: Some pre-designed headers have not been purchased yet, therefore they would be unique to your book. For $50, (including the $10 add-on fee), I will remove them from sale and use them exclusively for you. After that, they will also be free to add-on to any of your future books. Title and Word Matching: For $5 a line, I will match other existing text to the same style, such as titles, About the Author, chapter names, etc.